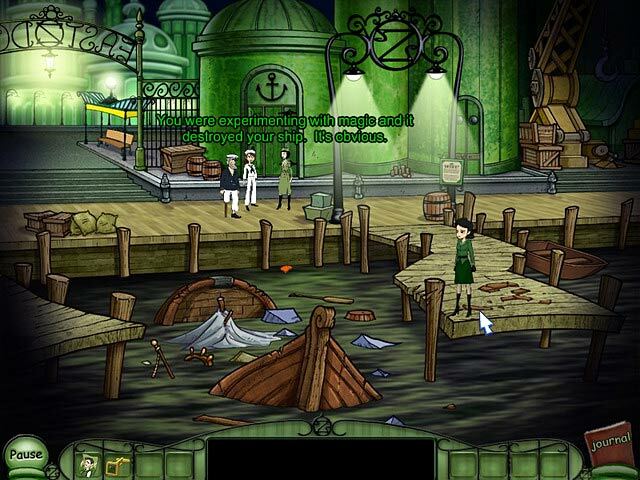 I originally tried the free one-hour trial version of this Noirish game about a year ago, when, oddly enough, my college's Homecoming theme was a combo of "The Wizard of Oz," "Wicked," and "The Wiz." I loved how the main character, the hard-nosed detective, was actually a woman instead of the traditional man. The plot was a very interesting take on the "Oz" books. I've been playign this game since 2009, and it's still manages to amaze me. The story's awesome, the music is great and and is really fun! There's only one thing missing...A SEQUEL! I came back for a few reasons. One, like another reviewer said, was to see if there has ever been a sequel made. I'd be quite disappointed if that never happens. Another reason I came back after at least...i'd say close to 2 years from when I played is this: I read a review on one site - I thought it was Big Fish but apparently not, because that review is not here! Thank Goodness. And the person gave the game a poor rating for one of the worst reasons I've ever seen a game get a bad rating! LOL!!! She said that ECC had "hateful characters". SMH...... I dunno. So everytime I'd see this game in the list of all games, I'd think of that & also wonder about the sequel. Note: this game does not have hateful characters. Jeesh. What it Does have is something so good that its got me coming back to check for a sequel 2 years (I think) after I played it! Felt like I was in Oz! Gritty, Witty, and very fun. I hardly noticed the time passing while I played this. Felt like a real detective...in a made-up land. Loved the portrayal of the characters! The dialogue is amazing, not like most poor voice-overs, and has good timing. I was thoroughly amused! This game had it all -- visually stunning, interesting story, and great casual gameplay. I would love to find more games in this vein. A noirish detective story set in the world of Oz. A game with a premise like had better be good because I'm going to approach it with high expectations. 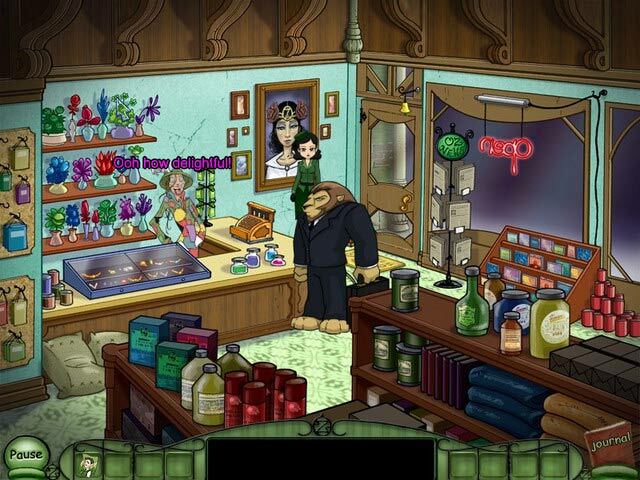 Luckily Emerald City Confidential is a great game, and did not dissapoint me in the least. The story appealed to me right from the start. The best thing about the game is probably the characters, who are anything but bland with well developed personalities that suit the noirish nature of the game. It was interesting to see the characters from the well known story with completely different personalities from what I am used to. 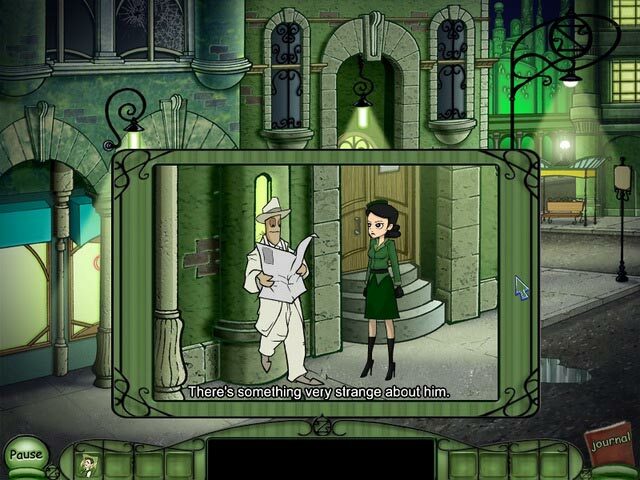 The graphics, music and voice acting are all very good and serve to give the game a uniqe atmosphere of cartoonish noir which I found very appealing. The only downside for an experienced player like myself was that the game just wasn't very challenging. In fact it hardly offered any resistance at all until very close to the end. However, for a game like this that is story driven and entertaining enough to be highly replayable that isn't a major problem. It also makes the game an ideal choice for less experienced players. In conclusion I found this to be a very enjoyable game that I would recommend to everyone who likes adventure games as well as anyone who is interested in giving the genre a try since this game would serve as an excellent introduction to the genre. Is there emerald city confidential 2? I found this by searching through the forums and I really enjoyed it. Like the other reviewers I'd love to see a sequel. The graphics are refreshingly different and I loved the interactive characters. Enjoyed this immensely. I've read ALL the Oz books and it was a treat to revisit some of the characters I haven't thought of in years. The dialogue was wonderful and witty and the voice acting superb. A game made by clever minds and talented artists! My only regret is that I didn't notice until 3/4 of the way through the game that I could have increased the "walking speed" of Petra and thus saved time watching as she crossed from one side of the screen to the other. Aside from that, a thoroughly enjoyable experience and highly recommended.